Precision Folding Triplet Loupe in robust all metal design with integrated LED ring illumination (consisting of 6 LED’s) for shadow-free illumination. The 20.5 mm dia. lens system consists of 3 achromatic and aplanatic glass lenses (colour-corrected and distortion-free) ensuring excellent image quality. Supplied with batteries (2 x type LR927) and case. With the newly developed ring illumination unit with 6 LED’s this magnifier sets new standards in its price class. 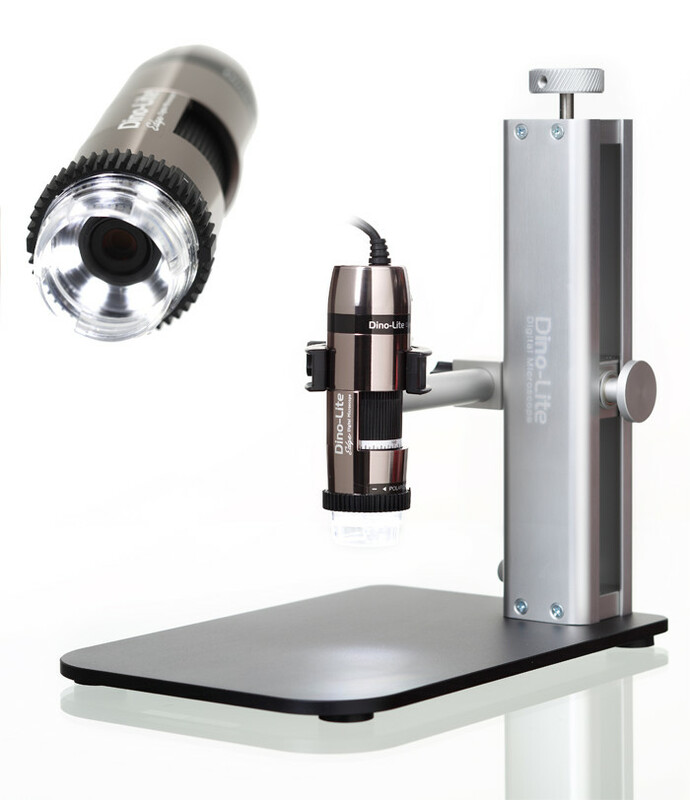 Thie ESL-SG-20-LED Triplet Loupe magnifier has a multiple lens system guaranteeing a true-colour, distortion-free image. An apochromatic lens system combines the high edge definition of a aplanatic lens with the chromatic aberration correction of an achromatic lens, making it particularly suitable for reproducing the “true” colour of an object such as gem stones while guaranteeing a very good, distortion-free image.